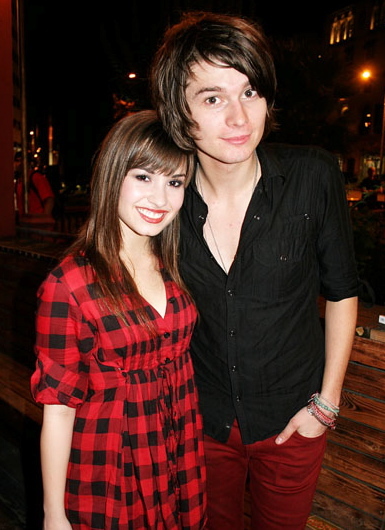 OceanUP posted a photo from Kate of Demi Lovato with band member of “The Academy Is“, William Beckett. He is also, Demi Lovato’s celebrity Crush. What do you guys think? We think it’s a cute photo! Bill looks wonderful as always, but Demi Lovato, not so much. She is wearing way to much makeup and looks like a clown. i think demi looks gorgeous & is not wearing too much makeup, & william looks great too . AWW that’s so awesome! :) HAHA! Demi must be so excited!